ISIS has claimed responsibility for the attacks; one of ISIS’ goals is to spread distrust of Muslims for its own ends, to end the “grayzone,” as it calls it. My heart goes out to the victims and all those affected by yesterday’s terrorists attacks on Paris. My heart also goes out to the innocent Muslims who continue to suffer under discrimination and distrust which only worsens every time this happens. I guess I should be out watching a parade or filling up on free Applebee’s appetizers. At the very least I could enjoy my traditional Band of Brothers marathon and destroy some carry-out pizza. But I just want to see Ryan. I have always been outspoken about my hatred for the commercialization of certain holidays that are meant to be emotional and reflective. Veteran’s day is one of them. Here is a post that reminds us what the day is about, remembrance. As part of the San Luis Obispo Museum of Art’s annual California Sculpture SLAM, Oakland artist Courtney Brown unveiled this unweildly typing device titled “Self Organization”, that went on to win first place. This is so freakin’ awesome! 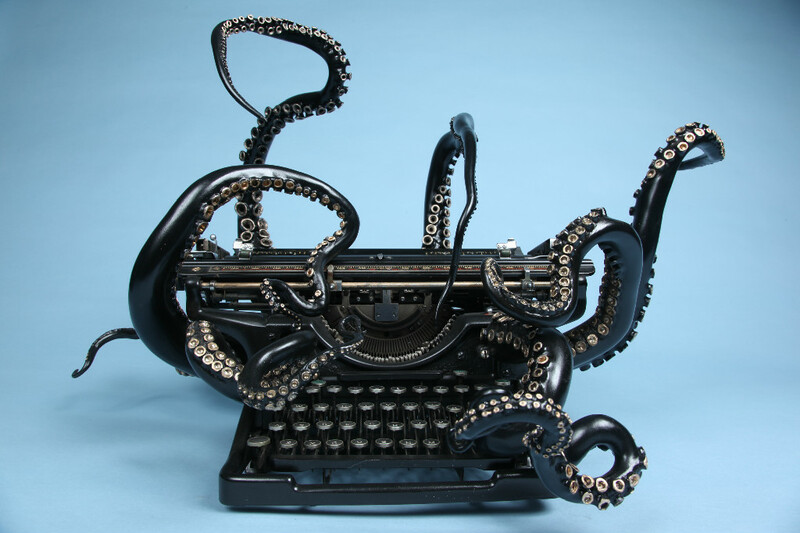 My favorite animal is the octopus so I am always drawn to tentacled pieces of art, but the addition of a typewriter is just genius. Hit the link for more pictures. I’ve always wondered this myself. Quit watching the clock. This almost-weekend playlist is here to help you send those final emails, tie up those loose ends, and crush your last project before you punch out and kick back. 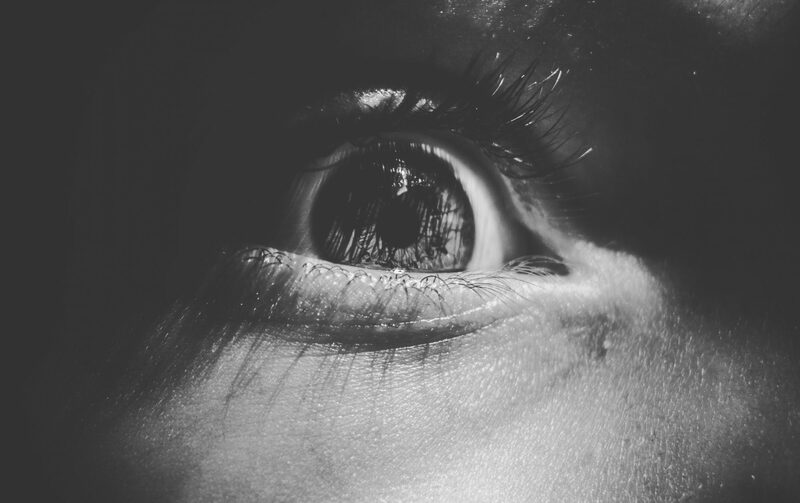 I’m a big fan of Death to the Stock Photo, I’ve used a lot of their images for blog posts here. Now they have a cool playlist to work to and I actually like a lot of songs on it. Check it out! I don’t actually remember how old I was when I started my period. I definitely don’t remember the exact day or what that first period was like, the way girls always do in books. More feminist bloggers should write about periods. I hate that it’s such a taboo topic. I mean, a good chunk of my life is spent on my period, feeling gross and miserable, and I’m expected not to talk about it or act like it in anyway affects my life. Talk about subtle shame. Not only that but by talking about it we raise awareness for the many women all over the world who suffer more than those in developed countries. Another tip to fight the ever present threat of the dreaded “writer’s block”. A story of hope for all those struggling to find the light at the end of the tunnel. It seems like the war on Christmas starts earlier every year. Hearing people whine about Starbucks cups and an imaginary war on their religion is especially irritating to me. This post made is amusing as well. Being an Atheist it is sometimes hard for me to understand the why of religion. I don’t understand how people can believe something there is either no evidence for or evidence that contradicts it. What is the purpose of living in an illusion? I don’t hate religion or religious people, I just don’t understand them. This video shed some light on my questions.